Registered nurses have either 3 or 4 years of education prior to working, although many nurses go on to Master’s and PhD programs. Both NP’s and PA’s have more extensive clinical training. Nurses are the clinical frontline of the hospital. They perform the most consistent interaction with the patients, so it is extremely important that nurses have not just excellent clinical skills, but also the necessary people skills to handle all types of people in all kinds of situations. Naturally, they also serve as a key means of communication between doctors and patients. Licensed Practical Nurse (LPN) Have two years of training typically following high school. They will take your vital signs – blood pressure, temperature, etc. – and give most medications. LPN’s cannot administer narcotics as these are closely monitored by the hospital pharmacy. Both doctors and registered nurses supervise them. 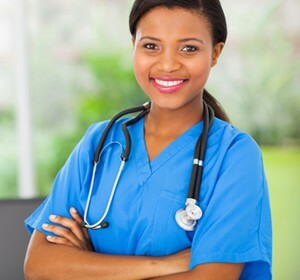 Registered Nurse (RN) RNs have completed a three or four-year program at an accredited college or university. Although clinical training is similar, graduates of four-year programs are awarded a bachelor’s degree, which provides greater opportunities by allowing nurses to pursue a master’s degree or nurse practitioner program. The most common position filled by nurses in the hospital is staff nurse. As nurses are promoted and earn supervisory responsibilities, they might become a head nurse, nurse supervisor, or nurse manager. Each unit (medical, surgical, pediatric floor, ICU, etc.) will have nurses in all those positions. Nurse Practitioner (NP) NPs have completed a four-year RN degree, as well as an additional two or four year program, and might specialize in a particular area. NPs can do much of what a doctor does: they can write prescriptions in most states, and can handle the milder cases that come into the doctor’s office or hospital. Some states even allow NPs to have their own practices. Insurance companies love to use nurse practitioners because they cost much less than a primary care doctor. Physician Assistant (PA) The job description for a physician assistant is similar to that of an NP. PAs work very closely with physicians, and in many hospitals fulfill the same role as an intern or resident. PA students must complete a two-year program after college, and frequently have a master’s degree. Private Duty Nurse These can be RNs, LPNs or nurse’s assistants. They are hired by individuals, and will sometimes come to the hospital to care for the patient. Many hospital nurses do not mind Private Duty Nurses because it can take some patient work off their plates. However, the nurses assigned to such a patient should check in on the patient to make sure everything is going according to plan. What are the nurses’ basic responsibilities? and use practical knowledge and experience in support of interns and residents. What are the nurses’ schedules like? Hospital nurses will generally work in three shifts: 7am-3pm, 3p -11pm and 11pm-7am. Reports are exchanged between nurses during shift changes, when the new nurse coming on gathers information about the patients under his or her care. This can take a few minutes, so there is smaller staff available during these transitions. Don’t be too upset if the nurse does not respond to you immediately during these times.